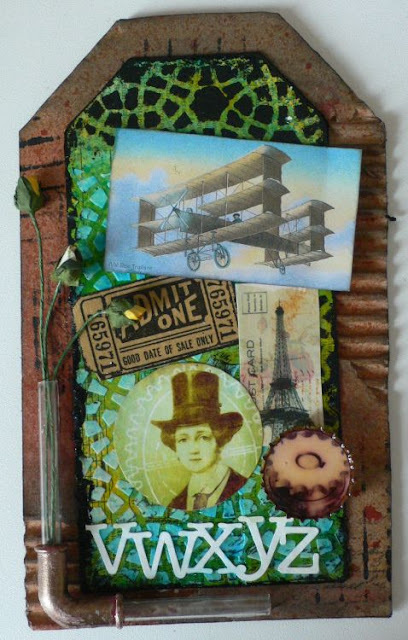 Servus and welcome back to the promised second bundle of inspiration created for you by the fab ladies from Team B! 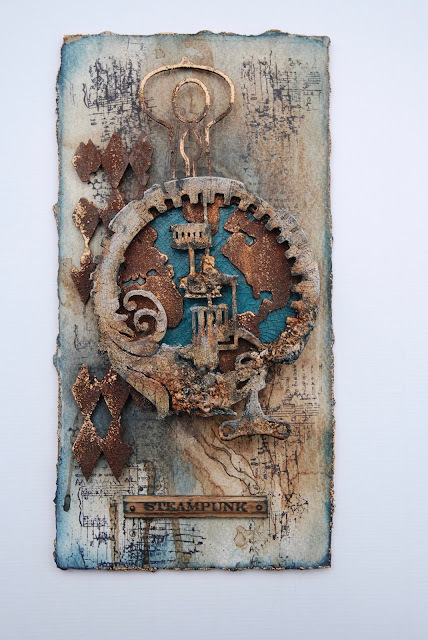 and we want to see it all - cards, tags, canvases, mixed media mayhem, industrial eye candy, steampunk drawings, ATCs, altered objects,.....as long as they have at least a hint of steampunk or industrial on them. We want you to have fun and be daring - so don't be shy and play along! 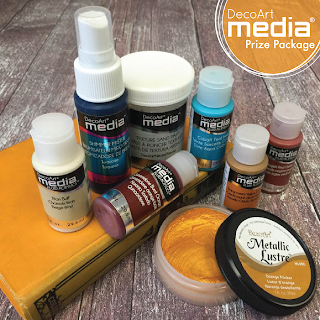 You could make our Top5 or maybe win one of our two prizes given away by our generous sponsors DecoArt media and boozybear! And now on to the promised Team B projects! procrastinated until now to get it made. alongside some yummy embossing and rust effects with DecoArt Media Fluid Acrylics. 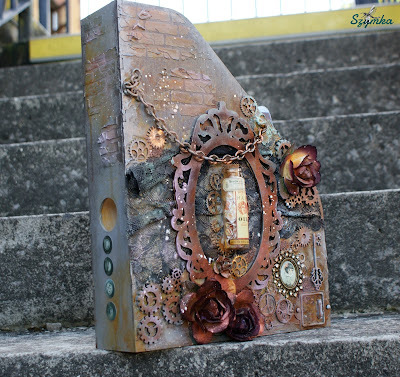 alongside the beautiful boozybear "Mechanical World Cluster" chipboard set. I hope your imagination has been fuelled well! If you want to learn more about the projects, please, visit the teamies' blogs to find infos on the how-tos or media used and maybe also take a second to leaven them a short comment to let them know you were there! You get to their blogs by clicking on their names. Our November challenge is open until the end of the month as usual. If you haven't checked out the makes of Team A, simply click on the "actual challenge" badge on top of our side bar to get there. Servus and hi, dear steampunk craftin' friends! You're right on time to find out about our Top 5 and prize winners from the October challenge! 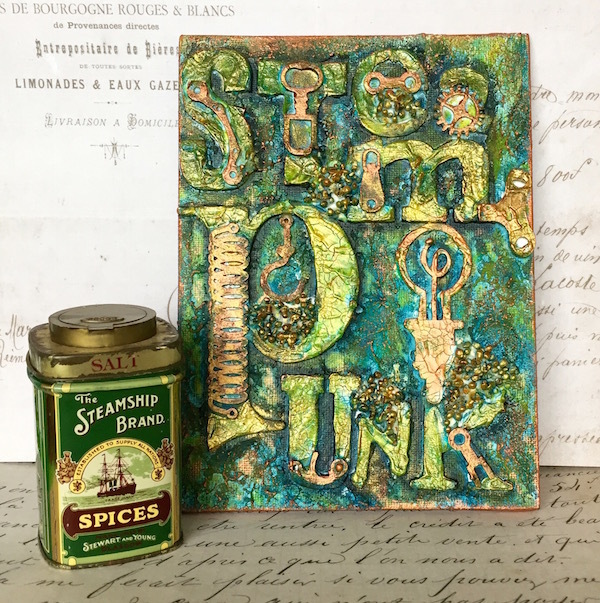 If you have played along with us before you will already know that we have two fab prizes to give away each month to two randomly drawn numbers from all proper entries. 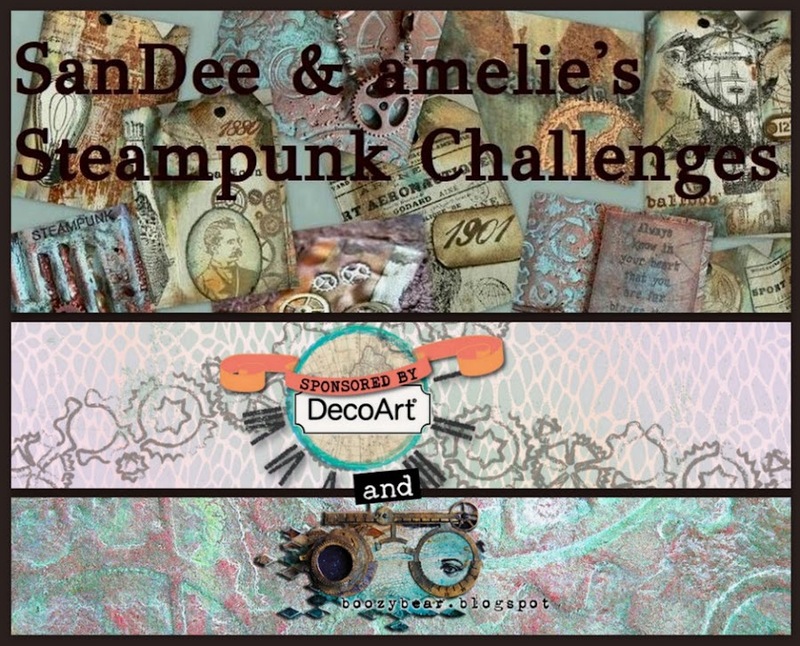 and all you have to do to get eligible is follow our few simple rules, have some fun and create a cool mixed media steampunk/industrial style project and enter it to our actual challenge! Yay! Congrats on your wins, ladies! Have fun with your new goodies and thanks so much for playing along! Please, email me under vonpappe2@yahoo.de so we can arrange everything asap. 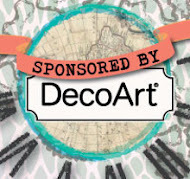 DecoArt prize winners, please, also add your phone number. Wow!!!! Thank you all so much, ladies, for sharing your fantastic projects with us! It is always such a treat to visit our players' blogs and take a closer look at the wonderful creations entered to our challenges! Please, feel free to grab the Top 5 badge for display on your blogs! 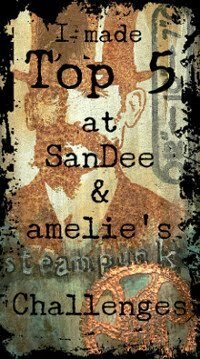 Our actual challenge is already in full swing and - as always - open until the end of the month - so why not take the chance to make our Top 5 or win one of our prizes!!! In a few days, on 15th November, team B will be sharing their projects for further inspiration, so I hope you will check back then as well! mixed media challenges! 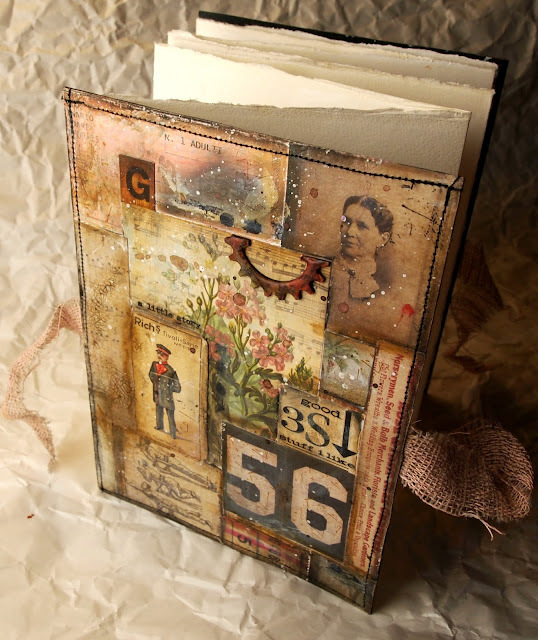 We're happy that you stop by our little creative corner in steampunk craftin' blogland and hope you will join in! given to her by the IT department. Of course she had to turn this gift into treasure! so she can carry it with her on her travels. 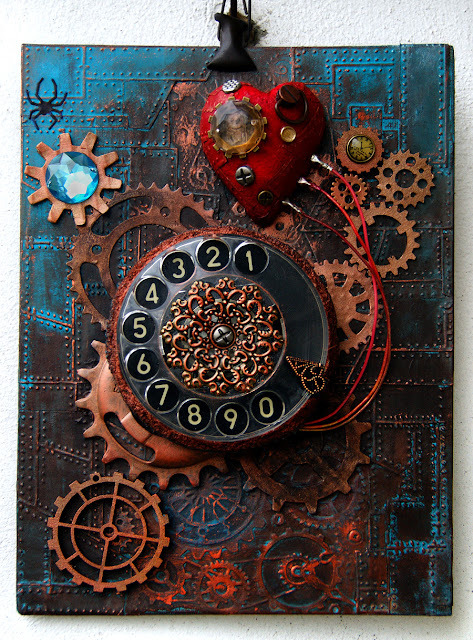 who is giving away a surprise package of awesome steampunk chipboard pieces. Each prize will be given to one randomly drawn player - so don't miss the chance to get yourself some new stuff to play with! The challenge is - as always - open until the end of the month. Check out our few rules if you haven't done so already - it would be a shame if we had to exclude anyone from the draws.